Tastes like you're swallowing a mouthful of chemicals! Who ever decided that's what strawberry and cream tasted like must of eaten some bad ones!!! Taste aside it's very effective and helps your progress and is a massive help to a good diet. Would have 5* if it didn't taste like glaxosmithklien's slops tray. First of all I HATE it when people rate the supplement on taste! Who cares?! It's the results. The taste is fine, different to your conventional shake but it's far better quality when ingrediants are concerned. 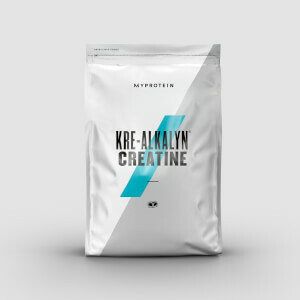 You will see more results taking this than regular whey. It has everything you could possibly need pre and post workout. 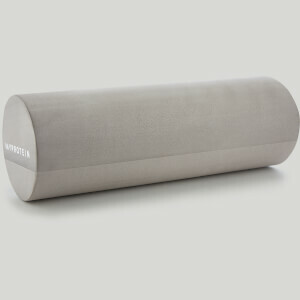 Your strength and size will increase as well as a faster recovery rate. It may be a bit pricey but compared to other all in one supplements but it's worth it. Suppose it depends on what you want from training. As a rugby player this helped me a lot! Just annoyed that I changed to try something else. I will buy 2 bags next time and up the intake to 3x100g shakes a day. Definitly expecting good gains from that. Everyone get it! I have used STRAWBERRY CREAM flavor for some time now and I love it, there are some idiots here who go about how terrible it is and how chemically it tastes but that's absolutely wrong! you have to follow the instructions that say to mix it with with 400-500 ml water and I'm absolutely sure that the girly man who cry about the taste mix it with less than that making the taste indeed a little to strong. Just use some more milk e.g 600ml if you think its to strong and stop making stupid reviews that scare people away from probably the best all-in-one mix on the market. When I bought this I wasn't sure if it was the right choice as I was used to hurricane xs which I always thought was a great product, I wasn't sure if hurricane extreme was worth the money but now I've had it for a few weeks I have noticeably gained extra size and strength! And ignore what some people say about the taste, it's really not that bad I have had a lot worse. It's not the best with water so I have it with milk but if you really don't wana use milk for whatever reason, try koko milk, coconut milk that has next to no fat in it and is full of calcium and vitamins, much better. Milk, koko milk, almond milk, soya milk. I have been training for three months now and using this product for two. I am running 30 miles a week and in the gym 3 x 1 hours sessions so my goal is not to shrink while doing so much cardio and build upper body strength and modest size gains. I am not one for eating every couple of hours so these shakes are ideal and taste fine (strawberry), not sure why people complain about the taste, you must be used to michelin star diets. The result have been excellent, I have maintained my body weight, reduced my body fat percenatge significantly and am starting to become ripped with increased definition and strength. Cutting out all the crap in my diet and paying as much attention to rest as you do working out also helps. All in all I feel it is a key ingredient to reaching my goals and I am just about to place another order..
A strong mental attitude and discipline. So I've had the Hurricane Extreme before (Banana Flavor) and it was excellent. I went and ordered another only to find they no longer did the banana flavor and so took the chocolate - Argh this stuff tastes rank! Not only that but the bag I got is called Extreme Perform Blend, does that mean Hurricane Extreme changed their name? Did I get the right bag because I cant find it on MPs website..? Anyhoo the Hurricane Extreme I used before was amazing and gave results and then thought it was good value for money. But I'm not sure what I got now!? Nothing - go back to the drawing board! Water but quite thick when mixed with milk. I'm 17 and I've been using this for the last few months, i purchased two 5kg bags and have been using them since. It is very effective as i have seen my strength and size increase drastically, however it is not a mass builder and for anyone who is thinking this will be the same, it's not. This is more of an increase in performance and size without adding extra weight. 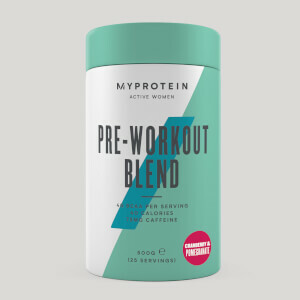 I gained about 3-4 kg's while using this and i am now about 66kg so it is very worth while if your looking to purchase a supplement which will aid you in your gym life. My only complaint is the taste but if it gets results then taste doesn't seem to matter much anymore. This protein is fantastic! 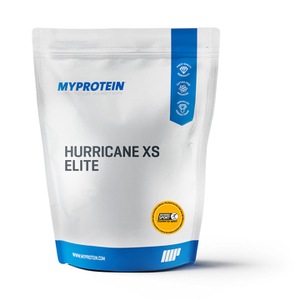 I've tried a lot of brands and when you consider the effectiveness and the price point of MyProtein's Hurricane Extreme, this product is far superior from all others. Tastes great, mixes great and it actually works - I've seen real results over the last number of months using this. I found this product very tasty ... I've only started using it a week but in general I finding that my aches and pains after a good work out is not so bad and clearly it's down to the recovery products added .. I'm chuffed to bits on how I've been feeling next day! I hoping after a month I shall see the proper effects of having this product more clearly and certainly recommend this product/site to my friends .. I shall be purchasing more products from your website as I definitely finding that the costs are low and extremely good on value.